For startups that want to stick around, growth and sustainability are the goals. But growing like Facebook or Twitter is far more difficult in reality. According to the Small Business Administration, only about half of all new businesses even survive to reach their fifth birthday. Only one-third of those make it to the 10-year mark. Scaling a startup is no small feat. It takes clarity of vision, a feasible business model and a team who’s up to the challenge of operating in an extremely fast paced environment where dynamics change continuously. It also takes guts on the part of the founders and initial team members. These types of people risk a lot by taking a chance on a new startup. The nebulous nature of these situations can be too much for many people to bear. One of the key aspects of sustaining a rapidly growing startup is the dynamic tension that exists between the need to scale quickly and stay flexible, while also setting a firm enough foundation that team members don’t come into work every morning to find a completely different animal to deal with. One way organizations begin to develop this foundation (whether they do it intentionally or not) is to develop certain norms and ways of doing things (a culture) which helps guide peoples’ expectations and behaviors. Your culture typically happens one of two ways. The first way, or the “let’s rolls the dice and see what happens” model, occurs when founders and startup teams jump right into doing the work before taking the time to align around what’s most important and what types of behaviors they’ll need to drive their growth strategy. This is certainly one approach. The downside is, you don’t have any control. Once it’s solidified into the DNA of the company, it’s going to be a challenge to break the mold of what people are used to. The other, preferable, way to approach this is to be intentional about who you are, what you stand for and what’s most important to you as a collective. 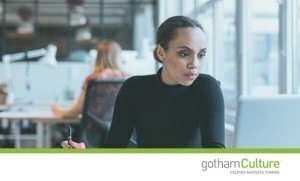 Here are a few considerations if you want to be intentional about creating a culture that will best serve your organization as you grow. It starts with a solid foundation. Culture is a collective concept. Being inclusive from the start helps your team build a personal connection to what’s most important. Although your company’s culture is heavily rooted in the values you personally hold about what “right” looks like, there are more and more people influencing the way in which things get done as the organization grows. The better they understand the non-negotiables (i.e. what behaviors will never be tolerated under any circumstances) and the “why” behind what you do, the better able they will be in helping to ensure that the culture evolves in ways that keep you most relevant in the market. Culture is not a fire and forget missile. Taking the time to be intentional about articulating what makes your organization successful is fantastic. But culture is not a stagnant cornerstone of your company. As the environment evolves around you, it will become essential that your organization take stock of how you are staying relevant in the current operating environment. Over time, what works today may not be what will sustain you in the future. Organizations that are able to keep tabs on these changes are better positioned to adapt in ways that help them launch forward while their competitors struggle to keep up. You’re not alone. As an entrepreneur myself, I can attest that it can be a lonely road sometimes. At the end of the day you’re name is on the bottom line. When it comes to the culture of your growing organization, understand that culture, at its most basic, is a collective concept. Although you may have a heavy influence based on your position, the culture is established and evolves based on the collective learning, collective understanding and the collective reinforcement of the company values. Don’t feel like it all rests on you. 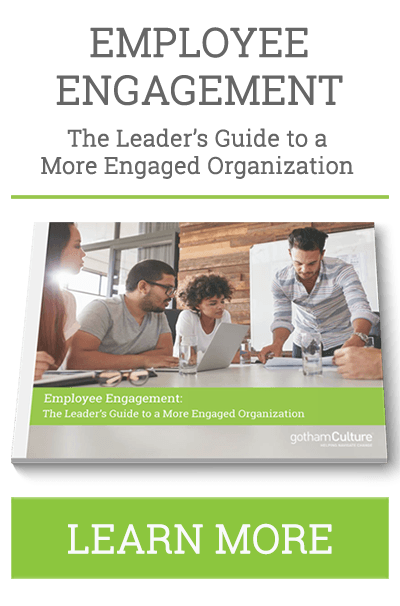 Engage your people in ongoing discussions about the culture, what it means to them and how it may need to evolve in order to stay most relevant given the current business environment. Leading a rapidly growing startup is not for the faint of heart. There are innumerable challenges and pitfalls at every turn. Even the slightest misstep can potentially lead to disaster. In a world where there are often more questions than answers and people are looking to you to guide them, it is incumbent on you that you stack the deck in your favor whenever and wherever possible. One way to do this is to consider the tips above and engage your team in setting a firm and explicit foundation for growth. Use your culture as a compass. Otherwise, you may find yourself in an organization that is floundering and moving in too many different directions at the same time. 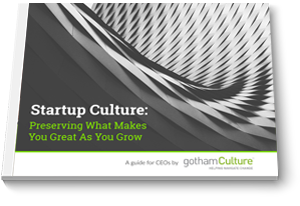 How do you build and grow a startup culture your employees love? 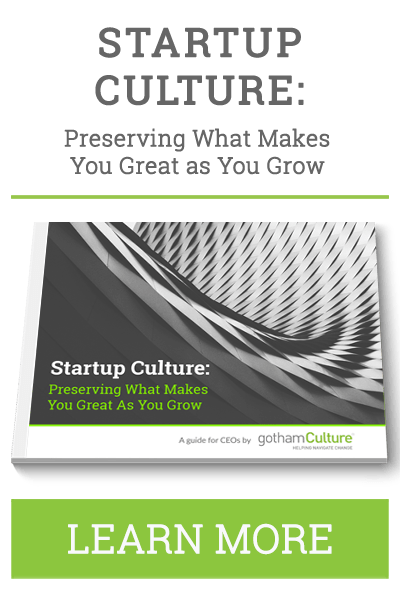 Sign up to our newsletter and receive your free guide to successful startup culture.